Yesterday, in Caesar’s Forum, I saw (and bought) what I think must be the most impatient product ever devised: a combined “lip-plumping gloss and appetite suppressant”. There’s madness for you. Nothing but short cuts. It’s weird enough to use an appetite suppressant rather than (God forbid) self-discipline, but actually combining it with a lip gloss - a magic lip gloss that’s supposed to work like an immediate collagen implant - what absolute multi-tasking mayhem. The slogan on the packet is “HUGE LIPS, SKINNY HIPS”. Of course, that actually sounds hideous. I don’t want to look like a matchstick with a giant mouth. I only bought it because I liked the colour of the lip gloss. Luckily, as any scientist might anticipate, it doesn’t, in fact, do anything. Within ten minutes of slicking it on, I was so hungry that I ate a cinnamon doughnut the size of a sofa cushion in about two bites. I am not playing enough tournaments, because I’ve judged that I can’t pace them properly out here. The blackjack screws with my poker patience. Cash poker is fine - you can play every hand if you want, and take breaks whenever you like - but tournaments require a solid discipline that slips away from me in Vegas. I have played two $2000 No Limit Holdems, and decided to skip the $1500 event on Saturday because it would be a waste of money. Sitting there in a field of 2000 people, knowing it would be more than a day before we got anywhere near the money, I’d be bound to burn chips. Part of the reason is that I’ve been working too hard lately. My strategy for future WSOPs will certainly be to take a holiday first. I haven’t really been on holiday for three years. In the last few weeks in London, I was working 18-hour days. The chance to get some sunshine, eat some nice meals, see some friends, have some sleep, play some cash poker without looking at my watch, is such a strong attraction that I can’t sit still for the requisite 11 hour days in the soulless Rio tournament room. Next year, I think I’ll do a fortnight in Greece first, and turn up so bored of sunshine and holiday that I’ll be ready to commit to the tournaments. But in a way, compared to some out here, it makes me feel healthy, like I’ve got the balance right. I’m not on a relentless grind of tournament after tournament. I’m actually enjoying being here, playing cash games, racking up gentle daily profits rather than throwing myself into the masochism of incessant knockout competitions. I have not played a tournament for four days, and tomorrow I will finally go back into the Rio for the $10,000 Pot Limit Holdem. I’m looking forward to that. It’s a big event, with a good structure, played Pot Limit: after my few days off, I feel ready to be patient and quiet and settled, not anxious to double up or get away. Because I’ve been off the tournament roundabout, away from the nightmare of bad beats and sudden shock exits, I’m not full of fear about getting knocked out. And if I do get knocked out, I’ll be philosophical. If my WSOP sheet this year reads 3 tournaments 0 cashes, I’ll be a lot happier than those on 35 tournaments 0 cashes. I haven’t taken many new pictures in the last couple of days. But, after thumbing my $200 into the Jade Monkey, I did record the evidence that - whatever my kindly friends out here might warn about my reckless gambling away from the poker table - I actually AM capable of standing up with money. It seems that you’re settling in nicely and I look forward to your posts over the next three days. >The slogan on the packet is “HUGE LIPS, SKINNY HIPS”. Why not buy a stick for Leslie Ash? I’m sure she’d love it. You were EPTChampion in 2006, so whats happening in Vegas? Alternatively, you can give up now and get back to the UK, start yoga, relax, and take part in the Under 30’s all in for a tenner,winner takes it all £50 poker Shipley, Bradford ,weeknight poker tournament. Hope your not to down! Enjoying reading your blogs from Vegas - I am flying out next week having qualified for the ME on iPoker and your tales of slot machines, gawdiness and incessant sunshine are getting me in the mood. As someone who has never been to America, let alone Vegas, before, I was wondering what your No.1 piece of advice for the experience would be? Don’t mind if it’s Main Event-related or just to have an inexhaustable supply of $1 bills for tipping…. Nice post. Felt similar two weeks ago. Went there for just one week from Germany because I wanted to be there and it was then only option. Some of these comments seem very sympathetic - and I’m grateful, but why? I’m fine! My point was that just having a spin in 3 tournaments is a great way to relax and enjoy the Series - much lower chance of cashing / winning a bracelet than if you play 20 or 30, of course, but also MUCH lower risk of a bad run and depression! I’m very philosophical about treating tournaments as a bit of a gamble where you have a shot at a big win but are most likely not to (as opposed to cash games, where I’d expect to have a 75-85% chance of turning a profit, but a smaller one) so the answer is surely to play fewer and feel good about whatever happens. Andy: if it’s your first visit to America, it would be great if you could add a week at the end and take a drive round the Grand Canyon and a bit of California (Highway One is the route to take there) just to see something that isn’t Vegas… But as far as Vegas goes, yes, tip EVERYBODY. In the main event, play pretty tight and you’ll be amazed how many people are ready to knock themselves out in the early levels. If you want to play cash games, they seem softest in the Venetian. And dress in layers: it’s over 100 degrees outside, but playing in a card room (especially the Rio) is like being locked inside a meat fridge. So you need lots of layers, and factor 50 while waiting for the cab. Good luck! Mr Donkey don’t know nothing about US slots, I fear. 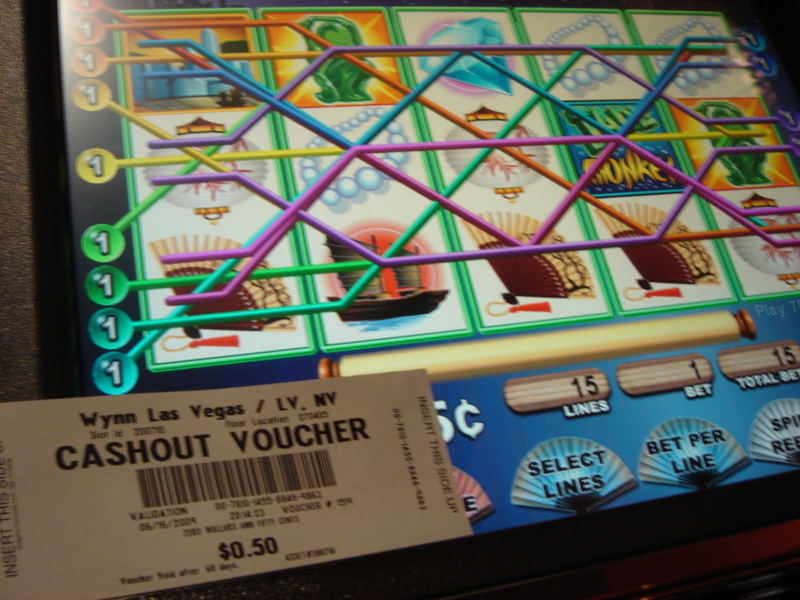 I believe that USA machines have to work on pure probability, giving a certain percentage of payout over a large number of spins. In the UK, the machine knows what the reels will stop at before you even put your money in. They work on a very long programmed sequence which is cynically plotted with small, medium and jackpot wins designed to keep the player interested without them noticing their pockets slowly empty. £1 is better spent in Donkey Kong any day. Seems like you’ve disappeared. I hope it’s for good reasons, Kefalonia is so beautiful!